Hammond Model ER-20 | MOSweb Online! The ER-20 tone cabinet is electrically equivalent to the DR-20 tone cabinet. 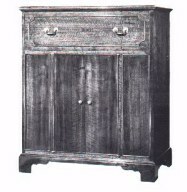 However, the woodwork is designed for use in homes where a more artistic cabinet is preferred.